The Synergy range of Heated Refrigerated and Ambient displays designed to be dropped into a counter surface to form a food servery. Each Synergy display is self-contained and easily installed. Synergy displays complement each other in both style and profile. They are constructed using satin finish stainless steel surrounds, bright polished gantries and toughened glass sneeze screens. Cable Units under 3.1kW fitted with 2 metres of cable and 13 amp plug. Toughened glass full height screen and over shelf. Designed for either assisted or self service. GN1/1 size glass insert, Suitable for use with all Victor Bains Marie units. When combined with Peer or Sceptre Hot Cupboards the over shelves form a highly practical kitchen servery or pass. The flexibility of options available allow a kitchen specifiers exact requirements to be met. The drawings attached illustrate the range however we are able to vary shelf heights and configurations upon request. 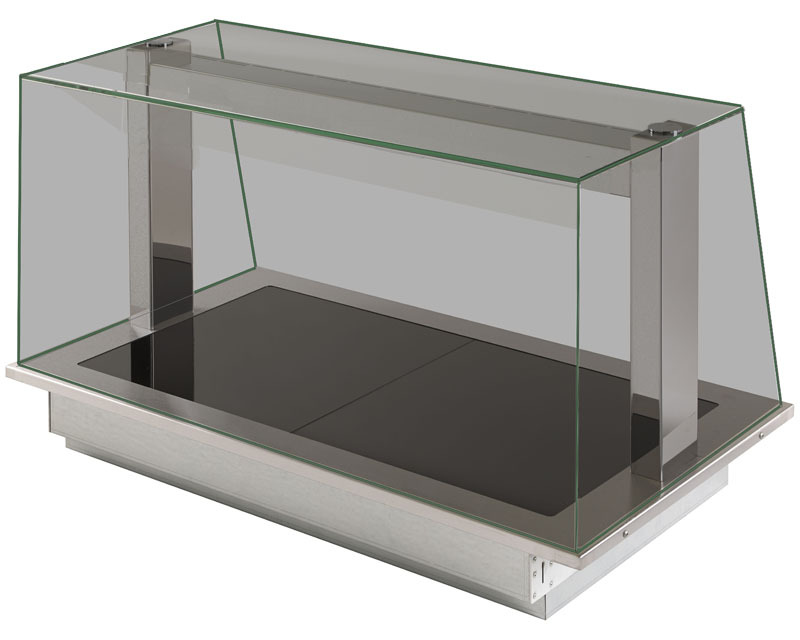 Heavy duty table top heated display, suitable for all catering operations, hotels, events education, and the equipment hire market.